Have you heard of SPAC? 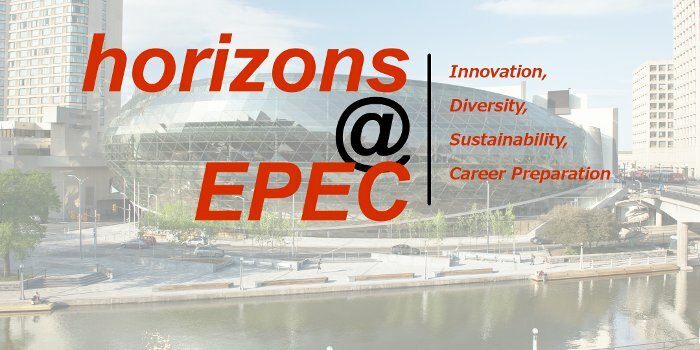 If you’re here, you’ve probably heard of EPEC… horizons@EPEC is a special SPAC-like event that’s being held October 14 in conjunction with the IEEE Electrical Power and Energy Conference 2016 in Ottawa. Everyone is invited to join us at the Shaw Centre for an afternoon speaker series and networking event, with the theme of Innovation, Diversity, Sustainability, and Career Preparation. We will be starting with some opening remarks, then a lively panel discussion followed by a wine and cheese networking event. For students and new grads, don’t forget to bring your résumés because that might just help you land your next job! This event is organized by IEEE volunteers in Ottawa for members of the Student Branches, Young Professionals, Women in Engineering, Humanitarian Initiatives, and IEEE Ottawa Section as a whole. Although this is our target audience, everyone is invited, so ask a friend to register with you! We look forward to seeing you are our event. If you don’t have a credit card to make the payment, you should convince a friend that does to go with you, or you can email jeffrey.arcand@ieee.org and we will reserve a ticket for you and you can pay at the door. 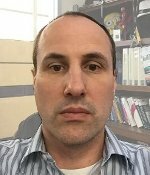 Simon Herriotts is an 15yr+ Cisco Veteran with experience in Switching, Routing, Wireless, SONET, BITS, 802.17/SRP/DPT, Broadband and IP Session/Wifi Offload. He has a special focus in system performance and scale especially where automation is involved. Simon will be talking about some of Cisco’s new innovative technologies. Ritch Dusome is President & CEO of CENGN – Canada’s Centre of Excellence in Next Generation Networks. He has held this position since its inception in September 2014 and is also a Board Member for the organization. CENGN is a federal- and industry-funded consortium focused on Next Generation Networking including areas such as Open Compute Data Centre, Software Defined Networking, Network Function Virtualization and the Internet of Things. 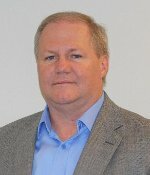 Ritch has over 30 years of Data Centre, Networking and Internet Experience working at a variety of companies including: CENGN, Cisco Systems, Bell Canada, and TD Bank. Ritch holds a B.Sc. from the University of Ottawa and is also a 10-year CCIE Emeritus alumni and Enterprise Architect. 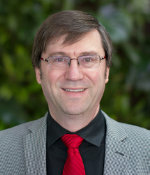 As the Dean of Faculty of Technology and Trades, Chris Janzen is in charge of two schools, five departments, 65ish programs ranging from computer, science and architecture to civil engineering, aviation, and automotive. Chris needs to be able to keep track of what’s going on in all these areas. He needs to provide the leadership and context for those 2 schools, and needs to keep the Faculty of Technology and Trades moving in the strategic direction of the college. As a leader, Chris is very fond of saying that leadership is the art of getting someone else to do something you want done because they wants to do it. That’s a Dwight Eisenhower quote. Chris’ previous roles from his previous life have been the deciding factor. He never aspired to be a Dean. It was never a burning desire. Chris started off as a scientist and assistant professor at a small private liberal arts university. By the time he was three years into that, he found himself chair of the department. Being an analytical chemist, having a knack for numbers, understanding how it all fits together and adapting to budget were a relatively natural thing. Chris had worked his way up the ranks. At one point, he found himself as a minor public official. Chris found that through his previous roles, he developed the managerial skills, the leadership skills and the ability to see the big picture. Chris was able to bring everybody that he worked with forward in the right direction. 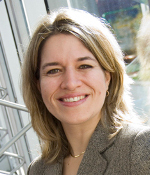 Prof. Karin Hinzer is the Canada Research Chair in Photonic Nanostructures and Integrated Devices and Associate Professor at the School of Electrical Engineering and Computer Science at the University of Ottawa. She has made pioneering contributions to the experimental physics of quantum dots marked by two landmark papers in Science. She gained extensive experience in the design and fabrication of group III-V semiconductor devices while at the National Research Council Canada, Nortel Networks and then Bookham (now Oclaro). Cost reduction strategies and liaison with remote fabrication facilities strongly feature in her industry experience. Prof. Hinzer joined the University of Ottawa in 2007 where she founded the SUNLAB, the premier Canadian modelling and characterization laboratory for next generation multi-junction solar devices and concentrator systems. Her research involves developing new ways to harness the sun’s energy. In 2010, she was the recipient of the Inaugural Canadian Energy Award with industry partner Morgan Solar for the development of more efficient solar panels. From 2010 to 2015, she was the inorganic photovoltaics co-theme leader within the Pan-Canadian Photovoltaic Research Network. In 2015, she received the Ontario Ministry of Research and Innovation Early Researcher Award for her contributions to the fields of photonic devices and photovoltaic systems. She is a member of the College of New Scholars, Artists and Scientists of the Royal Society of Canada and the recipient of the University of Ottawa Young Researcher Award for 2016. Prof. Hinzer has published over 130 refereed papers, trained over 85 highly-qualified personnel and her laboratory has spun-off three Canadian companies in the energy sector.